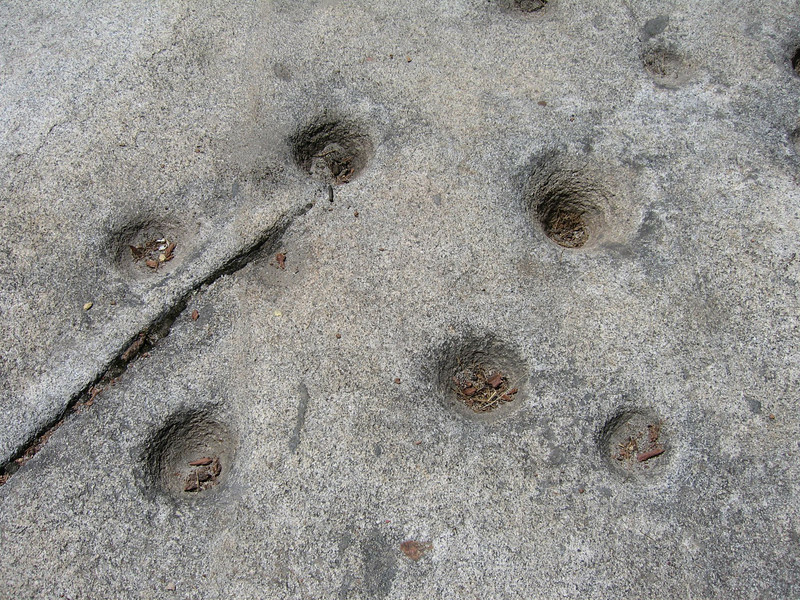 Acorn Grinding Station, Wawona CA Strange holes in the rocks along this this fork of the Merced river. I'm guessing they were made by the native Americans... UPDATE: Yes! See Laura's comment bellow.